We just had a weekend of perfect summer days. Saturday we had lunch on our new deck and on Sunday went to afternoon drinks at a friend’s place. 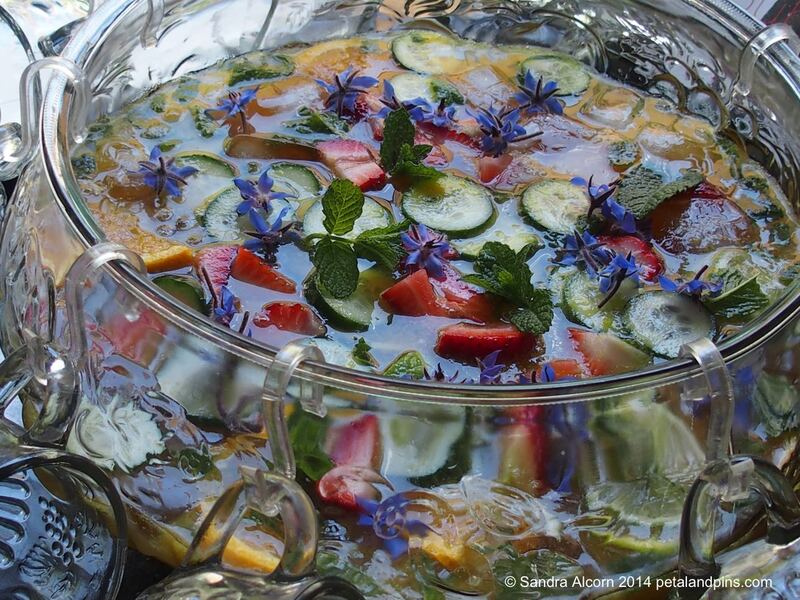 The sunny weather inspired me to make a punch and my friend had the perfect punch bowl. 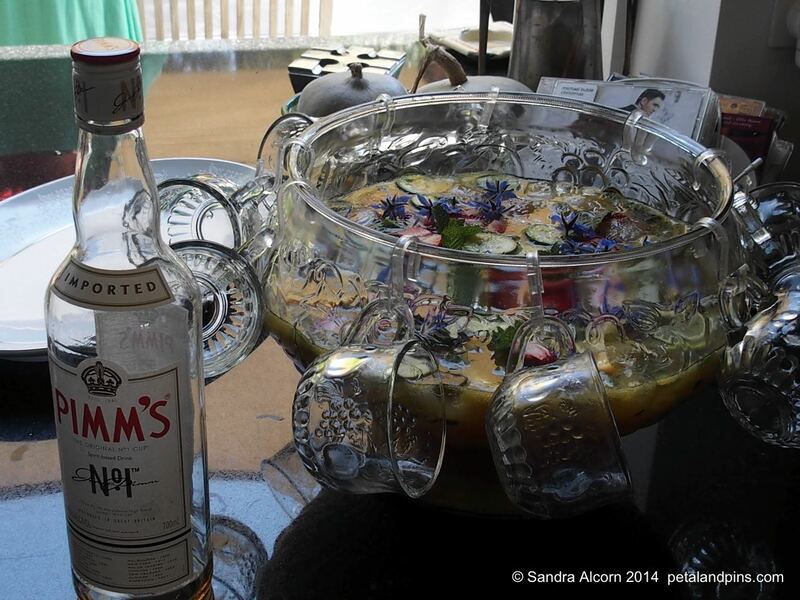 She also has borage growing and the flowers made a pretty addition to my concoction – it was festive and refreshing! Both days were warm enough to linger outside into the evening (a novelty in Hobart even in summer). So nice to read about your summer while we are having winter. 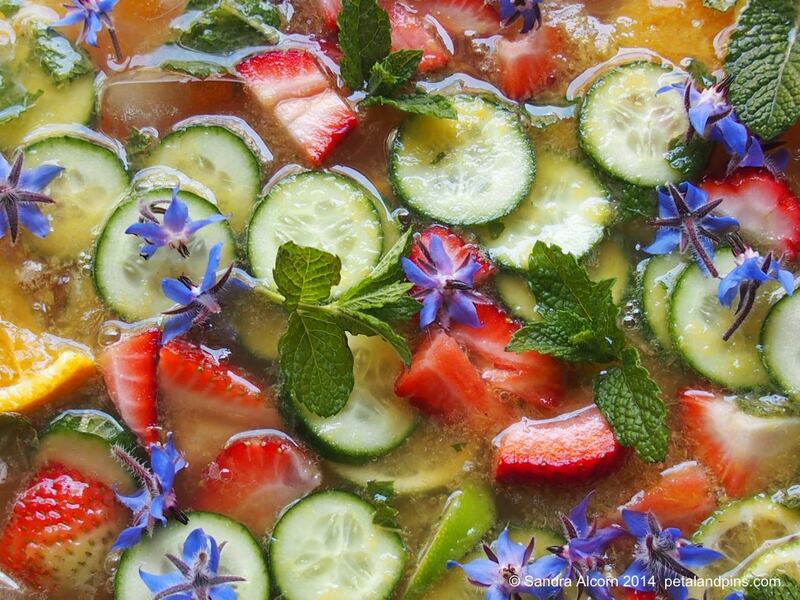 What a colourful punch bowl! I love borage blossoms – a perfect blue. Maybe you can make a little dress out of them! Thanks Eliza but what a difference a day makes we have just had a hail storm that was so heavy it looks like it’s been snowing in my garden! Oh, wince! Hail is never good for the garden!